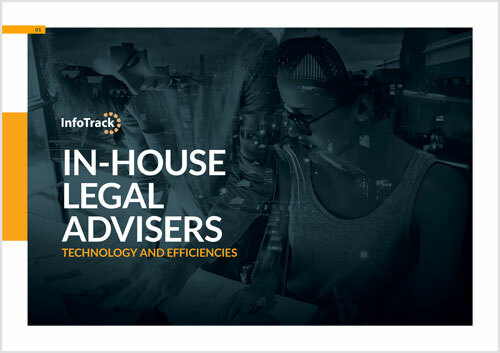 InfoTrack and Lawyers Weekly surveyed over 100 in-house legal professionals to look into what kind of tools they're using to increase efficiency and make the most of their resources. The results indicate that it's rare for in-house legal advisers to have access to a wide range of software and the biggest hurdle to adopting technology is cost. current software, technology and tools most commonly used by in-house counsel. trends in outsourcing work to external firms. checks and reviews included in standard due diligence procedures. Interested in learning about tools that can increase your productivity and efficiency? Book a demo today.